In this guide, we mainly introduce a one-click PowerDVD for Mac (El Capitan supported) to help you guys play DVD movies on Mac with no fuss. 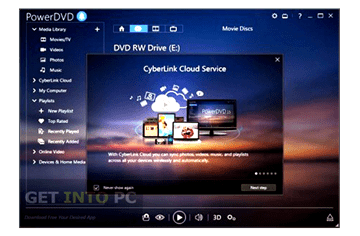 As is known to us, CyberLink PowerDVD has been the dominant DVD player working on Windows 10/8/7 for years. However, no Mac version is available so far. Moreover, there isn't any sign that the website is likely to develop a new edition for macOS users. Need an alternative to play DVD on Mac OS? 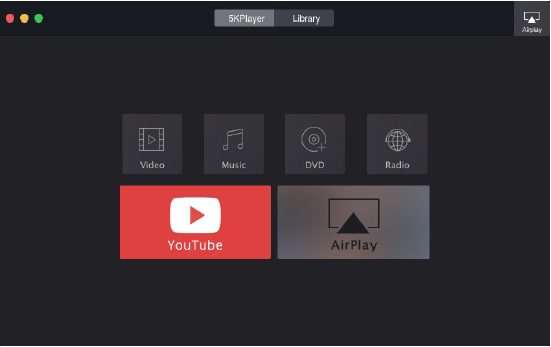 You are not alone, here is the Cyberlink PowerDVD alternative to Mac I recommend - 5KPlayer. It's 100% free yet clean DVD & video player for Mac (El Capitan included) that supports playing DVDs produced by Disney, Sony, Marvel, Warner Bros., Paramount, etc and other copy-protected discs with region codes, CSS, Sony ARccOS, RCE, and more, which PowerDVD may encounter errors while playing. This exceptional DVD player for Mac resembles PowerDVD in media playing but doesn't cost you a dine. You can free play 4K/8K UHD videos, 3D Blu ray HD videos in 1080p, MKV, MTS, WMV, MOV, MP3 and other audio and video files with ease. The one-click online video download option, along with video mirroring/streaming features, makes it even better than Cyberlink. Step 1: Free download, install and run the best DVD player for Mac. Note: 5KPlayer works as the best alternative to PowerDVD since its Windows version is also available. Step 2: Load the DVD disc. Just input the DVD movie and tap the DVD button on the main interface. After finish loading, 5KPlayer will automatically play DVD, with titles, chapters, specific subtitle tracks being available for you to choose. PowerDVD is excellent in playing discs on PC. But annoying errors may bother you from time to time. The most common error messages that you may encounter during DVD playback are listed below. All these problems can be solved by it. It starts automatically but won't play DVD as PowerDVD gets stuck. Windows has detected file system corruption on OS (C:). You must check the disc for errors before it can be restored. It encounters an unexpected solution with an error: You must update CyberLink PowerDVD to continue playback of the content. This type of disc is not supported. Note: Please using a DVD ripper for Mac software to bypass the DVD copy protection and rip DVD if issues persist. This is the most feasible way to solve all the errors mentioned above, if you are unwilling to deal with the following complex troubleshooting. MacX DVD Ripper Pro - The best PowerDVD for Mac alternative to fast copy/rip both homemade and commercial DVDs to MP4, MOV, WMV, MKV, AVI, etc with lossless quality, regardless of any encryption measures. Convert any DVD to be playable on Mac, PC, iPhone, iPad and Android within one click. 1. Make sure you log in using "Administrator" user name. 5. Ensure your Cyberlink PowerDVD is up-to-date. Please uninstall and install the latest v16.